Is your teen ready for a credit or debit card? Financial education should begin as a very young age. Don’t wait for your child to go away to college to learn about money management, credit and budgeting. He or she should have a good concept about this before they pack their bags. By all means, don’t arm your children with credit cards and no idea on how to handle it. Understanding how credit works will help them avoid the trap of revolving credit. Credit card companies are in the business of making money and keeping you in debt. What is a credit score. How does credit affect me. How do I keep tabs on my credit. How do I protect my credit. How to stay out of debt. Don’t charge for items that you don’t have the money to pay for. Don’t buy what you don’t need. Credit means debt. Debt means money that you will have to pay someone until you pay it off. Help your child learn to save for what they want. This is important to start at a very early age. Teach and assist your child to set a standard for automatic saving. Like 1/3 allowance and 1/2 of all birthday gifts. 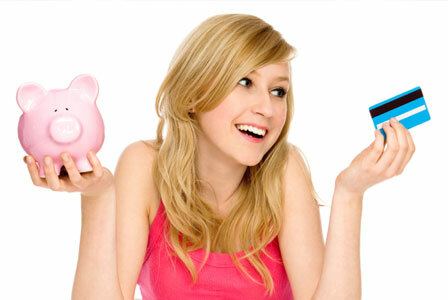 Teaching your tween and teen responsible credit and budgeting. As our children are growing up it is imperative that we teach them to be responsible with their finances. Your teenager is more mobile and you may find that it’s important that they have access to funds in case of emergency or otherwise. There are options and a parent needs to consider if their child is responsible enough to be in control of a credit or debit card. Let’s look over some of the different options to help in making a decision. 1. Prepaid cards are a hybrid breed. Just because it is called a prepaid credit card and works like a credit card does not make it a credit card. These are cards that are reloadable and works like a debit card. You choose the amount that you want to load on the card, use it like a debit card and it deducts the amount from your balance. You can then reload and continue to use. Being that these cards are associated with major credit card networks, American Express, Visa, Mastercard, these prepaid cards can be used anywhere the major credit cards can be used, whether it’s to purchase groceries, shopping at the mall, paying bills, or online shopping. This card is ideal for tweens and teens. No worry for over-drafting checking accounts or being accessed over-the-limit fees with credit cards. Prepaid cards are an alternative to banks. There are millions of people that do not want to use banks or traditional credit. Although these cards are not connected to a checking account, it still allows you to things that require a credit card, such as rent a car or book a hotel room. With many teens with a part-time job, cards even come with a checking and routing number so that a teen could have their check directly deposited onto the card. Many prepaid cards offer features to be able to access funds at an ATM. You also have the option of loading their allowance on the card. Prepaid fees. Be prepared to be charged with fees with a prepaid card. Each prepaid card comes with it’s own fee structure. Be sure and find a card that best fits your needs. You are protected. Prepaid cards offer the same theft and loss protection that major credit cards offer. Which makes this a pretty safe bet. Children and credit cards. How to stay out of debt. 2. Store card / major credit card. 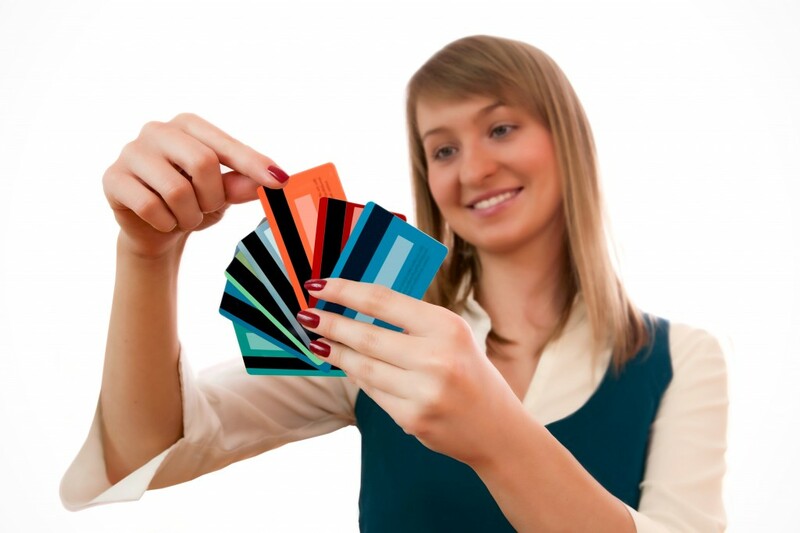 While credit cards have a credit limit and you are able to use the card until the limit is exhausted. Credit card companies may extend additional credit at a cost of an over-the-limit fee. Eve with a credit card, it is important to keep tabs on your spending. With interest rates charges it may become very difficult to get out of debt. No one wants to head off to college in credit card debt and parents should not be left to clean up their teens out of control spending. Choosing between a store card or credit card may be a challenge when trusting your tween or teen to spend sensible and not send you soaring into uneeded debt. If you feel that your teen has not shown financial responsibility with their money and allowance, then you may want to rethink handing them a card to carry on a full-time basis. You may choose to allow them to use the major credit card on a temporary basis and for particular purposes and allowing the to view the invoices and pay the payments. Also educated them to understand the reality of charging and paying with money they earn from their job or allowance. Although there are fees for reloadable prepaid cards, there are over-the-limit fees for many credit cards. Just being charged one $39 over-the-limit fee is a large amount compared to prepaid card fees. Teens learn from their parents money management. By gradually graduating their freedom to using your credit cards you will be able to build good spending habits and trust. So while there are differences in choosing a card, education and holding your teen responsible for their spending is the answer.